Thursday, July 24, 2014 at 8:37AM Mrs. G.
Mrs. G. has always been skeptical of popularity, a bit cagey of it's often shallow, slippery nature. It makes her skittish. Maybe it's because she spent her youth on its periphery. While popularity was her desired bright lights and big city destination, Mrs. G. resided squarely in the suburb of close but no cigar. She wasn't unpopular; she was just there...amiable, no trouble, perfectly fine. She was always invited to the party, but she didn't, you know, own it. She stood in the corner with her friend Karen nursing a Bartles and James wine cooler and smoking a clove cigarette. She was worldly though she lived in teeny Tigard, Oregon. 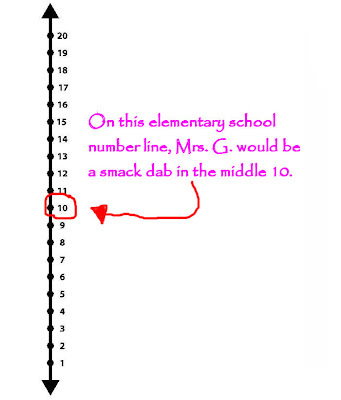 When she went to high school, Mrs. G. had a decent time. She had plenty of friends—she ran cross country and was on the speech team. She was a brain, but she was also good-natured and approachable. It's true Mrs. G. had sensational hair, but she was short and stocky and wore fairly thick glasses. She tried contacts but she accidentally swallowed them in a movie theater and her mom wouldn't buy her another pair because money doesn't grow on trees you know, or fall from the sky ferchristssake. Mrs. G. wasn't deferential. She was cute enough but not hot...as in hot hot if you know what she is saying... and you do. She was luke warm, fair to middling. It didn't take her long to figure out that she needed to be funny. She needed to be charming and share her impeccable biology notes, so that the hot hot people would occasionally invite her out with them...for entertainment purposes. She could make them laugh while they sat around drinking Big Gulps and looking beautiful. She was the nonthreatening friend. One of the advantages of being a girl with the good personality in high school is that Mrs. G. had no trouble getting dates. She was a guaranteed good time—gracious and grateful, drama free. If there was a dance, Mrs. G. was there with one of her many guy friends. Dancing. Laughing. Her dates were engaging, perfect gentlemen. They gave her frothy pink wrist corsages and helped her fluff up her hair when the humidity of the dance floor made it droop. Her dates were unusually supportive of her commitment to save herself for marriage and often went shopping with her to pick out the perfect dress and matching heels. They were kind and respectful and, Mrs. G. found out a few years later to her genuine, twenty-four carat surprise, gay. Gay gay. She's not sure who was deeper in the closet, likely her since she was genuinely clueless. Mrs. G. slowly came to realize that she might have been the most popular date of the gays in her high school. And to make matters a little more nonsensical, she didn't find out her homecoming and prom dates were gay until she ran into them after college and asked after their girlfriends. Columbo she's not. Mrs. G. often wonders if they took numbers—sorry pal, you had her for the Spring Fling...she's mine for Tolo. And while it's true that she didn't brush up against love until later in college, she also didn't come home disappointed or pregnant. Or with chlymidia. Mrs. G. never really felt bad that she wasn't hot hot. She is a genuine believer in the American Dream and making the most of what you've got—she didn't sit around whining or wishing for longer legs or cheekbones...until she got a flat tire in Northeast Portland in 1986. She pulled her car over to the side of the road and hoofed it to a phone booth to call her friend Beth. Beth said she was on her way, so Mrs. G. hoofed it back, leaned against the hood of her car and watched the rush hour traffic go by—car after car after car. Beth showed up a short while later. She had barely pulled her six footed, blue eyed, creamy skinned, down-to-the-waist blonde haired body out of her car and walked six steps toward Mrs. G. before a guy in a red Jeep pulled over and jumped out to offer his assistance. I feel like that time on the periphery made us brilliant observers and thus great teachers & writers. And the best kind of friends. :) You rock the real world, Mrs. G.
Three of my High School boyfriends were gay. In retrospect they were the best boyfriends ever! By the 3rd I kind of figured out the beard thing too, after they spelled it out for me! It's funny now, not so much then. They were a lot of fun though. Love this. I was on the periphery in high school, very shy. Great writing!! 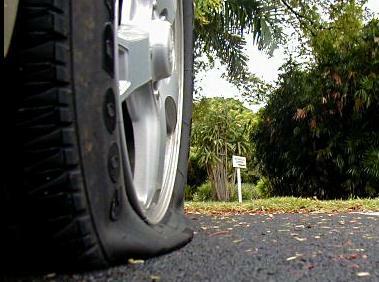 The story of the flat----ouch! But you have prevailed! You. Are. My. Soulsister. Great writing! Except for being athletic, I rowed through school in the same boat. Not the "in-crowd" (music, alas), but the FUN crowd. As time has gone by, we still are the fun crowd. The A-listers (often enough, if not always) mostly burned out along the way. If being called smart and funny is my lot, I'll take it. And two of my smartest, funniest, BEST friends from childhood were gay, although I neither identified as such at the time. Squarely in the middle of life and the chart, that's me, too. I find it humorous that we've both had the same experience with a broken down vehicle on the side of the road -- except I didn't have a hawt friend to call for a ride. After reading all that, twice, I can't help it but my main thought still is: How did you manage to swallow your contacts? In a movie theater? I was basically invisible in high school. Probably because I was constantly focusing on the wrong thing. Cindy, the contacts were wrinkling in my eyes (soft kind) and I took them out to (gross, I know, but what are you gonna do in a movie theater) wet them with my tongue. I inadvertently inhaled and that was that. It was a sad state of affairs. July 24, 2014 | Mrs. G.
I'm way more into you for your funny than I would be if you had longer legs! Mwah! And smarter. you cannot lose your smarts or your funny, but the looks? That's another story. Ah, I've missed your writing, Mrs. G.
It's funny, I was just talking about something similar with Dave tonight. One of the guys in the band he's in knew my boyfriend post high school , knew that he lived across the street from him, could describe the building...but did not remember that I loved with that boyfriend. He remembered my old friend Sue...but not that I lived with Sue IN THE SAME BUILDING HE LIVED IN. Which wasn't very big. Apparently I am invisible. Oh well! I loved this! I was always accepted but not popular in high school too, without the advantage of being funny. The only thing I had going for me was that I was known to be "nice."